Little need be said of this marvelously-carved masterpiece. 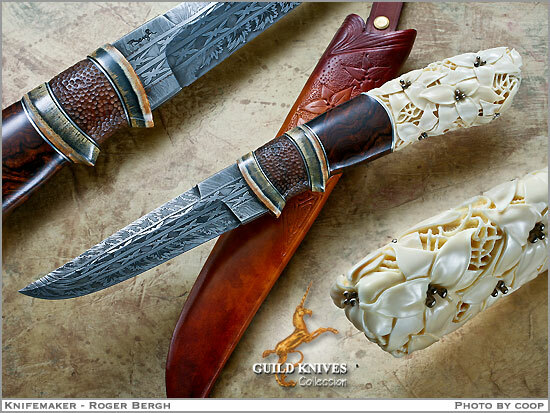 Seven-Bar Damascus blade by the master, Roger Bergh of Sweden. The carved Walrus Ivory handle has Silver pestles flowing out of each flower. Reindeer horn spacers and a marvelous tooled sheath.